Back in September 2018 Amanda Spielman, Chief Inspector of Schools, said that it is imperative that "the new inspection framework has curriculum as a central focus. The aim is to drive the trend away from the overbearing and often crippling reliance on results. It remains to be seen how this will play out." What is clear, is that the changes promise to have a significant impact on the information that is required from schools to demonstrate that schools are delivering a 'broad curriculum'. The most important thing to note at this time is that your school website is the single most important focus for pre-inspection tasks. Inspectors look at your Data Dashboard, your last Ofsted report (especially anything that was pointed out to work on) and your website. You have no control over the first two but you have, or should have, total control of your website content. Don't underestimate the power you have to influence and get ahead of an inspection through your website. We've previously written about how student profiles can enhance your curriculum information. But, what about the curriculum information on your school website itself?. 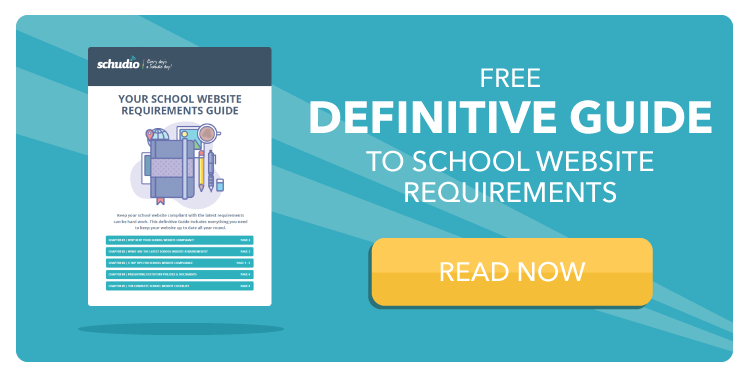 Read on to discover the key to quality curriculum information that goes beyond the minimum requirements. You'll also find the key steps to 100% compliance. The purpose of the curriculum information is twofold. The first is to meet an information requirement. This could be a statutory requirement or meeting the needs of an engaged parent. The second is to encourage learning. Moving further through education this purpose becomes more pressing. Students begin to choose what they want to study and have options. Curriculum information can help them do that. Content is key. This is true right through the school website, but perhaps most importantly on the curriculum pages. The curriculum content needs to clearly convey what is studied in school in line with the statutory requirements. But it should also be written with an emphasis on why curriculum is offered the way it is. The advantages to studying the curriculum this way and anything else that's special or unique about it. 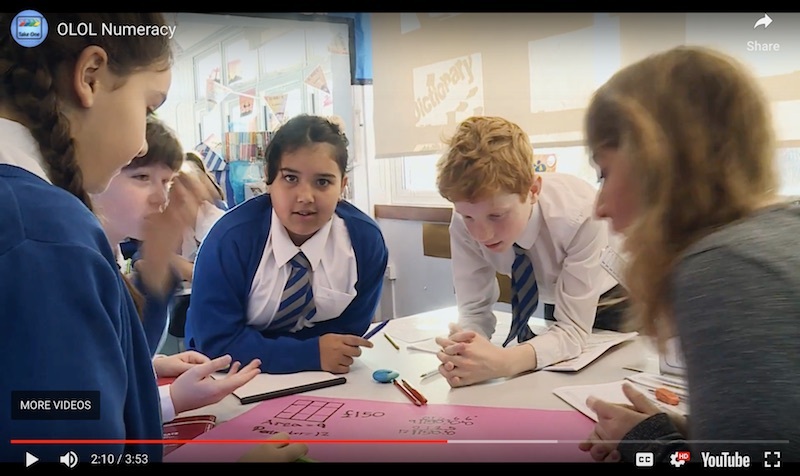 All schools have to teach Maths, but communicating clearly how, why and what makes it special could encourage someone to look into what your school offers. How the information is displayed makes a big impact too. Content that is really good, well written and engaging but difficult to read or not accessible across a wide range of devices has been compromised. There's other approaches to look at too. Bring content to life with colourful graphics and break it down with useful headings. Make use of videos, society watches more and more videos online. This large secondary school in the North East of England has completely revamped their online presence. Part of Durham Johnston's aim for their new website was to dramatically improve how their curriculum information is presented. Here's how the richness of their curriculum is presented. Bring the curriculum content to that medium. Our Lady of Lourdes School, Wanstead have had videos produced and displayed throughout their website. There's a special focus on the curriculum sections with videos available for each different subject. Overall, a text dump onto a page, with a PDF file showing your curriculum information might meet the statutory requirements at the most basic level, but it's not likely to encourage them that your school curriculum is really important and is a big priority. The challenge for the school or college, whether engaging with the parent or the pupil, is to attract them to your establishment and why they should study with you. Why should a parent pick your school for their child? For the student, what options do they have? Is this somewhere that looks good in their eyes? As mentioned earlier we have previously looked at adding student profiles to enhance curriculum information. The interest has been generated, now it needs to be captured. The hard work put into the curriculum pages has generated the interest so make the most of it and take advantage. Explain the action to learn more. Better yet provide links to a contact form or an email address to get in touch. This action could be to request a prospectus, request more detail about the course, book a visit round school, view upcoming open evenings, or all of the above! Below you'll find some related articles to help you get to grips with understanding Ofsted's position on the curriculum and all the latest requirements. Problem solver and innovator. 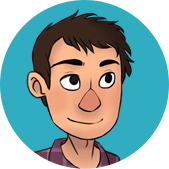 Ben oversees new website projects and is always looking for new features to improve the Schudio School Website CMS.